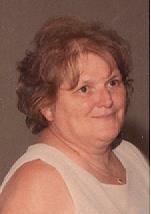 Darlene T. "Dee" Soult, age 70, of Mahanoy City, died Monday afternoon at her daughter Tammie's home in Park Place. Born in Jeansville she was the daughter of the late Roy and Dora (Beishline) Bevans. She had been employed in various local factories and cleaning jobs. Dee had a big heart and was know for her willingness to do anything for anyone and adored her ten grandchildren. She was a member of the Mahanoy City American Legion Ladies Auxiliary. Preceding her in death in addition to her parents were her husband Kenneth in 2001 and 2 brothers Peter and John Bevans and a grandson Jordan Troutman. . Survivors include her daughters Lori and her husband Dave Bickowski, Betty Lou and her husband Larry Levy, Tammie and her husband Duke Troutman, Tara and her husband Gary Brown and a son Kenny and his wife Heather. She is also survived by sisters Betty Markle, Shirley Tolerico, Ellie Leonard, Doris Damico, Margaret Steinmetz, Debra Matsko, Marilyn Bevans and brothers Roy, Christopher, Henry, Harold, Walter,Richard, David, and Lewis Bevans, her grandchildren Alyssa Sieck, Aaron and Ryan Bickowski, Meghan Flaim, Brandi and A.J. Levy, Bryson, Ayden and Gage Soult, and Tyler Brown. She is also survived by many nieces, nephews, and aunts and uncles. Relatives and friends are invited to call at David D. Jarrett Funeral Home in Mahanoy City on Thursday evening from 6 to 8 PM Interment will be privately held at the German Protestant Cemetery in Mahanoy Township. Contributions in Dee's name to the Mahanoy City American Legion or the Mahanoy City American Legion Ladies Auxiliary would be appreciated by the family. Please visit www.jarrettfuneralhome.com for more information.